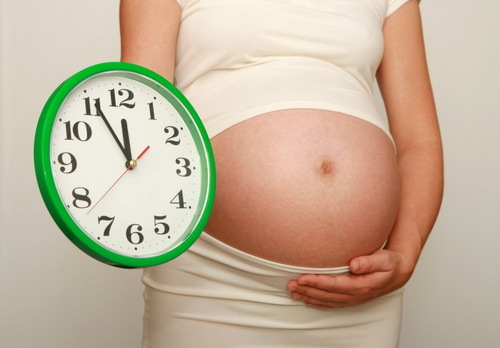 In today’s crazy world, everything is a rush and even giving birth has been added to the list of instant gratification. Now, according to several studies, around 50% of pregnant women attempt to get labour going themselves, compared to those allowing their body to decide when it is ready to go through the labour process of birthing the baby. For some mums to be, all these reasons apply and also that they want to meet their baby or continue with life! It’s important to remember that only 2-5% of babies are born on their “guess” date, and around 40% are born in the 2 weeks thereafter. Full term is up to 42 weeks of pregnancy – no medical intervention required – as long as neither baby nor mother are showing any signs of health issues. Induction-body preparation massage helps to relax and calm your body, easing tension and helping to create a clear and grounded space, preparing baby and you for the birth process. Induction- body preparation massage can help elevate your natural levels of Oxytocin. We have a fantastic success rate with our induction-body preparation massages, with most clients doing our natural stimulation package going into labour within 18-48 hours, of their finally treatment, often avoiding medical intervention. inducement massage may only start being performed once the babies gestation reaches 38 weeks or and mum and baby are healthy. It’s not advised to try most other natural methods until you’ve at least reached your due date. Another very important thing to remember is you’re not designed to be pregnant forever. Have faith that your body and your baby will be able to do what they are meant to do as a team when the right conditions exist. The womb is the best hotel in the world and is designed to fulfill every need of your baby, and so each day your baby spends in your womb is valuable. Your baby’s brain and lung function development is so important and if baby is safe, happy, healthy and comfortable inside of you, give this precious time to allow them to grow properly to be the amazing child you are hoping for. Womb nurturing time will pay off, both physically and emotionally. This is why it is important to get professionally massaged by a pregnancy specialist and rest as much as possible in your last trimester, as it truly benefits you and baby! The correct Massage therapy during labour is highly beneficial, especially if it is administered within the first 15 minutes of every hour of labour. The labouring women’s anxiety is decreased, as well as her pain and her need for pain medication. In addition, the massaged mothers had shorter labour, shorter hospital stay and less depression /mood swings. Field, T., Hernandez-Reif, M., Taylor, S., & Quintino, 0., & Burman, I. (1997). Labour pain is reduced by massage therapy. Journal of Psychosomatic Obstetrics and Gynaecology, 18, 286-291. The above is just another reason to employ a massage specialist to massage you in labour or to hire a doula who is trained in massage and other related skills. Aid in the production of endorphins or "feel-good hormones"